Please note, this DVD is available in NTSC format only. This is an engaging study that causes the reader to think about the big picture presented in the Bible. I've used it in a 121 context with a believer and it promoted discussion on all sorts of topics, as well as upon foundational matters facilitated by the study questions. We have been running this course at our church for a number of years and the book makes it really easy. 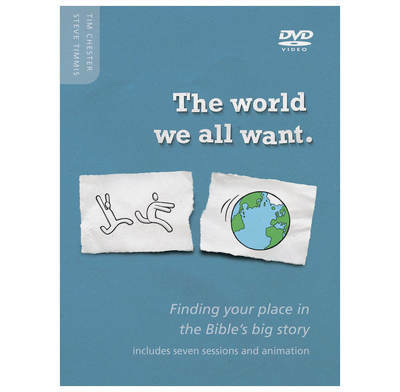 It is also a brilliant overview of the Bible for seekers, starting with common agreement about what a perfect world would be like, then showing that this is exactly what the Bible promises, how Jesus has the power to bring it about, and how the rest of the Bible fits in. We love it.